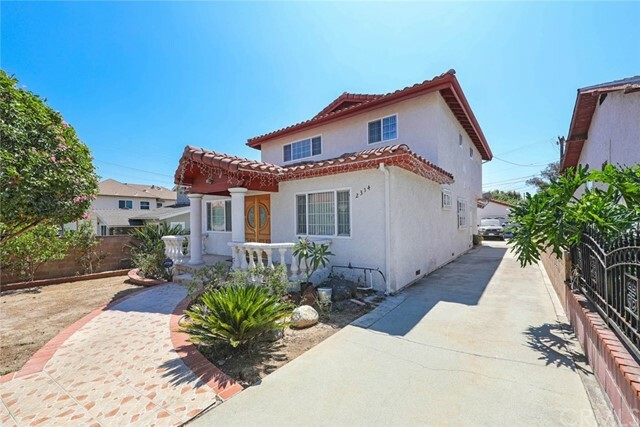 All Eagle Rock homes currently listed for sale in Los Angeles as of 04/25/2019 are shown below. You can change the search criteria at any time by pressing the 'Change Search' button below. 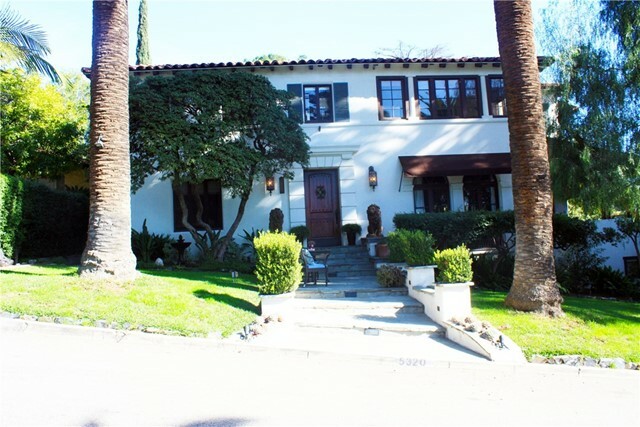 "Sitting high above the street rests this classic 1920's two stories Mediterranean Revival home ready to entice you with original details, a sunny floor plan, extraordinary woodwork, and unique features. The home was designed by Dr. Meyer Radon a Swiss-trained architect who moved to Eagle Rock in 1923 and then built this stunning masterpiece in 1925, as well as other notable properties such as Santa Monica's Sovereign Hotel and Glendale's Seeley Studios. This era called for generous as well as unique rooms such as a semi-circular study with windows all around, a huge living room with original oak strip flooring, and a large stone fireplace with arched doors on each side leading to the spectacular back yard. Numerous patios, porches, balconies, verandas, and traditional formal areas allow for gatherings or relaxing whether it be with a glass of wine or formal dinner. Your area choices could include spectacular views of downtown Los Angeles, or the lush gardens in the magical, romantic, paradise-like backyard with beautiful pool, spa, trellis, fragrant citrus, koi pond, fountains, cabana, statues, and mature trees. The property fronts Ellenwood, but the huge lot calls for garage and additional access from Hilltop Road. You will be truly impressed with the construction quality and details all ensconced in the elegance of the period." "One of the most charming homes on coveted Hill Drive. Through the beautiful wood and textured glass arched front door you step into an exquisite grand living room with a Batchelder style fire place and gorgeous curved vaulted ceilings with original decorative trim, as you take in views of the mountains from the large windows in the den. There is the most charming balcony off the dining room with French and screened doors to let the breeze in and hear the birds chirping. The kitchen is newly done and has a lovely big window looking out to the backyard. The master bedroom has French doors where you can step out on to a spacious balcony, for a true indoor outdoor living experience. The main bathroom is spacious and has beautifully preserved original tiles. As you walk down the stairs to the additional living space there is a bedroom, bathroom, office & living area that could be perfect for guests or a growing family. The house sits on over a acre lot where your imagination can run wild." "Your modern nest awaits, perched above Eagle Rock with hypnotic panoramic views. Located at the end of a cul de sac and a long private driveway, you have extra privacy without total isolation. Energy efficient landscaping, artificial grass in the backyard, as well as windows and doors with a heat barrier in the ceiling. Inside you will find an entryway to greet your guests and a space to take a moment, set your things down, remove your shoes, and begin the transition for recharging in an inspired space. Stunning master bedroom maximizes the views with it's own private deck for morning views or star gazing. Complete with walk-in closet, dual vanity, and large shower with bench for the ultimate escape. The kitchen opens up to the entire living room for ideal entertaining or simplu taking impressive panoramic views. If you're seeking a forever home to inspire, recharge, and impress this is it." "A modern twist on a classic Eagle Rock Traditional, this elegant, move-in ready, home is a brilliant blend of original character and contemporary amenities. Set above the street, enter into the light-filled living room with espresso stained hardwood floors and original steel-case windows. The den with wood burning fireplace connects seamlessly to the spacious backyard, which features a new pebble tec salt water pool, stone patio area and built-in bar with plenty of room for outdoor dining and entertaining. A large eat-in kitchen, two bedrooms, and two bathrooms complete this ideal floorplan. Updated systems including new central heat and air, electrical, copper plumbing and earthquake bolting. The tuck under 2-car garage is spacious with extra storage area. Located in the heart of Eagle Rock close to parks, and many great local restaurants, shops, and nightlife. 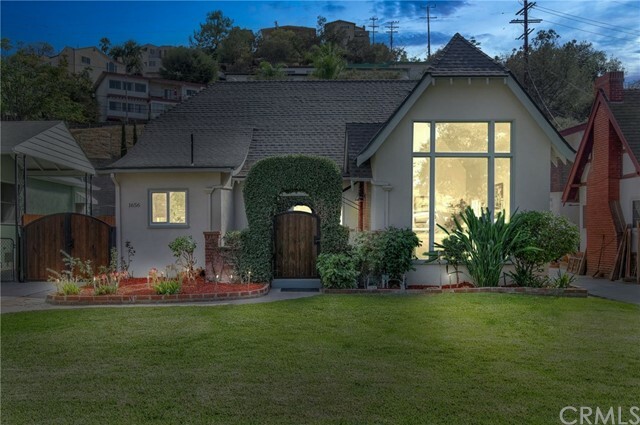 A timeless home in the heart of one of LA's loveliest and most desirable communities." "HUGE PRICE IMPROVEMENT! SELLERS VERY MOTIVATED! !BRING ALL OFFERS! A 2 story home w/ a BEDROOM & BATHROOM ON THE MAIN FLOOR. Eagle Rock is highly desirable!Highly ranked schools are a plus which are located in great neighborhoods. Blue-ribbon Distinguished Eagle Rock Elementary,IB(Int l Baccalaureate)Eagle Rock Jr-Sr HS,Dahlia Elem. Rockdale Elem.Occidental College.Fantastic family home w/a winning combination of style & elegance.From the moment you step foot in this exquisite home w/ 2,618 sq. ft. of comfortable living,you ll know your search is over & that you have finally made it home!Distinguished dbl doors opens up to a notably large,inviting & stunning living rm warmly greets you.You ll feel the flow of it s open floor plan & abundant of natural light.Elegant formal dining rm is perfect for holiday gatherings.A few steps lead up to spacious kitchen w/ granite counters overlooking another dining area w/ a huge family rm & a wet bar where you can watch movies or curl up w/ a good book.Main level also has another step down living rm that can be used either as a recreation rm/office.Huge back yard is fantastic for expansive entertaining.Master suite is amazing. Master bathroom offers huge closets w/mirrored doors & marble floors.2 bedrooms are both large w/plenty of closet space.Dbl pane windows,custom,recessed lights,dbl control AC & heater, alarm system.LONG DRIVEWAY CAN FIT UP TO 4 CARS. Mins from hip shops,trendy restaurants & Freeways! WALKING DISTANCE TO STARBUCKS!" "WOW- Amazing one story 5Bd, 2BA, home with gorgeous picturesque hillside views and room for everyone! This lovely home includes: tasteful brick ribbon parking pad, two car attached garage, gourmet eat-in kitchen that includes good size dining area, tile flooring and new lighting fixtures. Comfortable formal living room with decorative gas fireplace and beautiful hardwood floors. Back great room is spacious with slider access to large patio area and stunning hillside views. Updated bathrooms with stylish fixtures, dual sinks and tile flooring. Other fabulous home features include Central air & heating, rain gutters, energy efficient windows, all new fresh paint and home office space that could make great 6th bedroom. Convenient private door access to most bedrooms, work room area in garage with laundry room hook ups and extra work sink. Lovely picturesque hillside location with wonderful scenic views and pretty sunsets to enjoy - So many possibilities!" 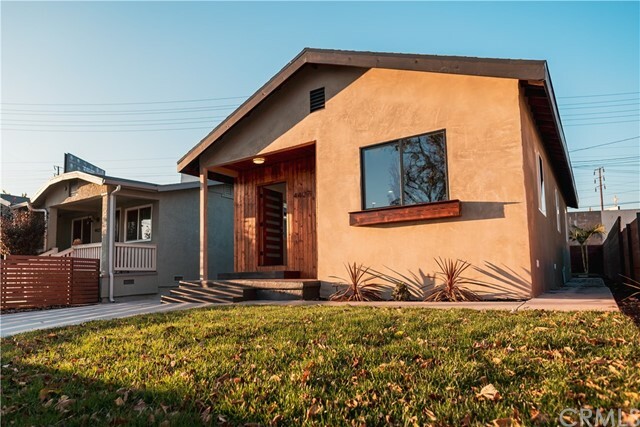 "Gorgeous Spanish Ranch style home sitting atop a peaceful knoll in the hills of Eagle Rock with inspiring city lights and mountain views. A warm and inviting interior awaits you with its coved ceilings, gleaming hardwood floors and delicious afternoon breezes that will sweep your stress away. This charming home features lovely wood windows that capture the beautiful natural light that beams throughout this fantastic 3 bedroom, 2 bath floor plan. The bonus room provides a hard to find 4th bedroom or family room space to spread out. Newly updated master bedroom/bathroom opens out to the magical flagstone terrace where you will absolutely fall in love with the views and tranquility that surround this beautiful hilltop home. Follow the steps down to the spacious side yard where kids can play and adults can relax and enjoy the perfect LA lifestyle. Updated systems complete this very special home that we can't wait to share with you. Eagle Rock Elementary, per LAUSD School Finder." "Stunning English Cottage Pool Home in Eagle Rock! Fall in Love with the The Architectural Character & charming curb appeal. The spacious floor plan features Permitted Modern Upgrades including a New HVAC system, New Roof, New Electrical Panel & New Plumbing re-pipe! The Ornate Windows & Doors are beautiful, tons of natural light, Inside Laundry, & detached 2 car garage. Cozy Living Space with a Fireplace with smooth finish & herringbone tiled hearth. Wide plank hardwood floors flow throughout. Make many memories in the Formal Dining Room with a Designer Chandelier and a floor to ceiling window that brings the outside in. Step outside for the perfect dining al fresco! Kitchen Remodel includes Quartz counters, Custom Cabinetry, Subway Tile backsplash, New Appliances, & Recessed Lighting. Master Suite has a slider to the outside patio and pool! Private en suite master bath is complete with elegant finishes, dual sink & vanity, and a walk-in shower with custom tiled floors and surround. Hall bath also includes a walk-in shower, finished cabinetry, Calacutta Quartz counters, & Herringbone tile Flooring. The Attention to Detail in this home is Exquisite! Step out back to Relax & Entertain! Expansive Yard with a Re-plastered Pool! This Property is truly an Entertainer s Dream! Within proximity to all of your Favorite Eagle Rock and Highland Park Hotspot Destinations, Cafe's, Restaurants, Yoga, Bars, Schools, Entertainment & More. Take a tour today of your New Home!" "WELCOME HOME to this stunning home!This efficiently laid out single family is part of a community of homes, with a small lot and low maint. outdoor space you won't be spending your weekends on yard care. Built in 2013 with extensive additional upgrades. Sit out on your patio, and enjoy your coffee.The ground flr room with en suite bath would be perfect for guests, elder or home office. Walk up the stairs to a breathtaking open concept living rm- kitchen combo. Xtra high 11ft ceilings w/ cust crown moldings, & 9ft in bedrms.The Kitchen boasts a suite of high end Kitchen Aide appliances, granite countertops & island with stainless steel sink with a chefs faucet. Walk-in pantry &built-in desk, perfect for homework.Built-in cabinetry in the livingrm, with an additional deck off the livingrm. 3rd floor takes you to a luxurious master suite with more beautiful built-ins & a walk in closet. New bath remodel with classic marble finishes.2 more beds and full bath. Custom floors throughout!" 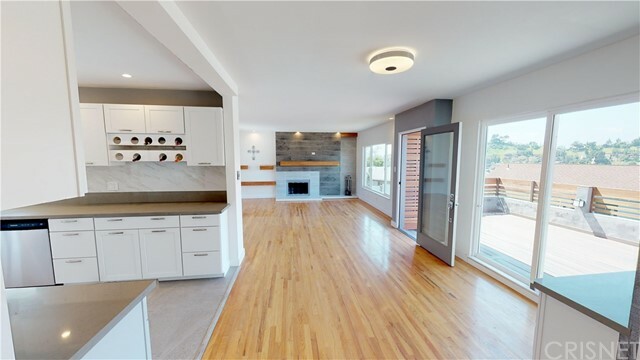 "BEAUTIFUL COMPLETELY RENOVATED HOME IN MUCH DESIRED EAGLE ROCK AREA. THIS DETACHED HOME FEATURES 2 BEDROOM 2 FULL BATH WITH A BRIGHT AND OPEN FLOOR PLAN. FOUNDATION WAS REINFORCED AND EVERYTHING IS BRAND NEW DOWN TO THE STUDS. YOU'LL ENJOY PREPARING YOUR FAVORITE DISHES IN YOUR NEW KITCHEN WITH QUARTZ COUNTERTOP, FARMHOUSE KITCHEN SINK, L SHAPE COUNTER FACING YOUR OPEN LIVINGROOM, 2 LAZY SUSANS AND SPICE DRAWER. BEDROOM WITH MASTER BATHROOM WITH BLUE TOOTH EXHAUST FAN WITH SPEAKER AND SLIDING DOORS LEADING TO YOUR PRIVATE BACK YARD. NEW CENTRAL AIR AND HEAT WITH NEST THERMOSTAT. RECESSED LIGHTING THROUGH OUT PROPERTY, NEW FLOORING, NEW DOUBLE PANE WINDOWS, NEW WOOD FENCE, LAUNDRY LOCATED IN DETACHED BONUS ROOM AND TANKLESS WATER HEATER. HOME CENTRALLY LOCATED JUST A SHORT COMMUTE TO TRENDY COFFEE SHOPS, YORK BLVD NIGHT LIFE AND OCCIDENTIAL COLLEGE. EASY ACCESS TO LOCAL FREEWAYS: 2 FWY, 5 FWY,110 FWY, 134 FWY. COMMUTERS ARE MERE MINUTES FROM PASADENA, GLENDALE, BURBANK AND DOWNTOWN LA, WITH NEARBY BIKE LANES AND BUS LINES." 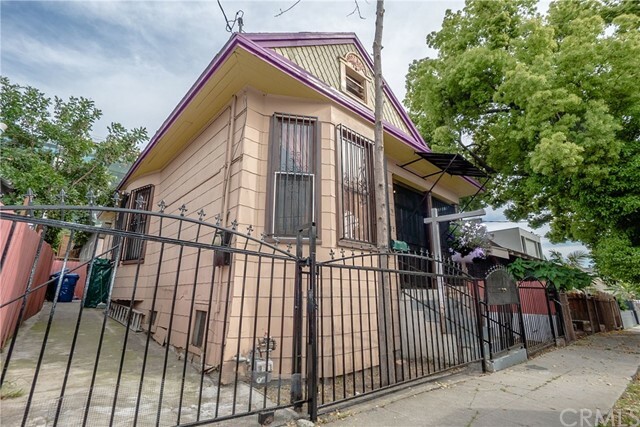 "The Location is perfect, This home is situated in the heart of Historic Filipino area of Echo Park. Just minutes away from Dodger Stadium, DTLA. Property needs TLC"
"This cute Spanish style home is perfect for first time home buyers! The property has been recently remodeled with newer cabinets and granite counter tops in the kitchen, custom door trimming, newer laminate flooring, dual pane windows, and copper plumbing. 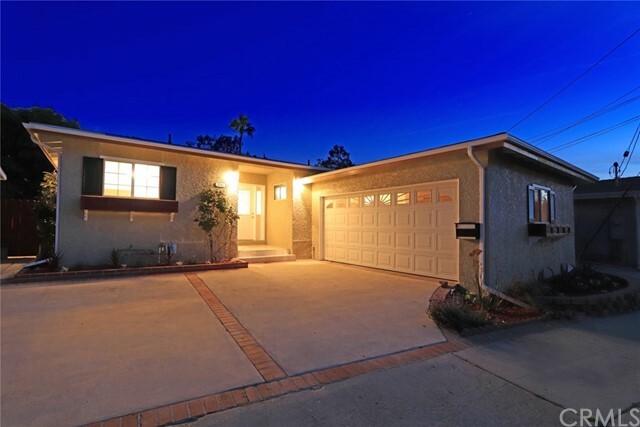 Being in the trending market of Eagle Rock, it is also the lowest price home in the area! Near the Dodger Stadium and less than 5 minutes away you will find the Yosemite Recreation Center, grocery stores like Sprouts and Trader Joes, shopping centers, and your local Elementary and High Schools. Don't miss out on this one!"